TheoFit produces instructional and motivational videos on fitness. TheoFit packs the value of a $300/month coach into a group cohort for $10 or less. You get hundreds of pages of PDFs, worksheets, and most importantly, weekly Q&A with Paul to help answer your personal fitness questions. I was just an average guy, working an 80 hour-per-week job. Then, I went through a very bad season and gained 60 pounds. I tried a bunch of fad diets and ended up gaining even more weight. I felt helpless. Then, I discovered principles of diet and fitness that transformed my body to the most shredded I'd ever been in my life. 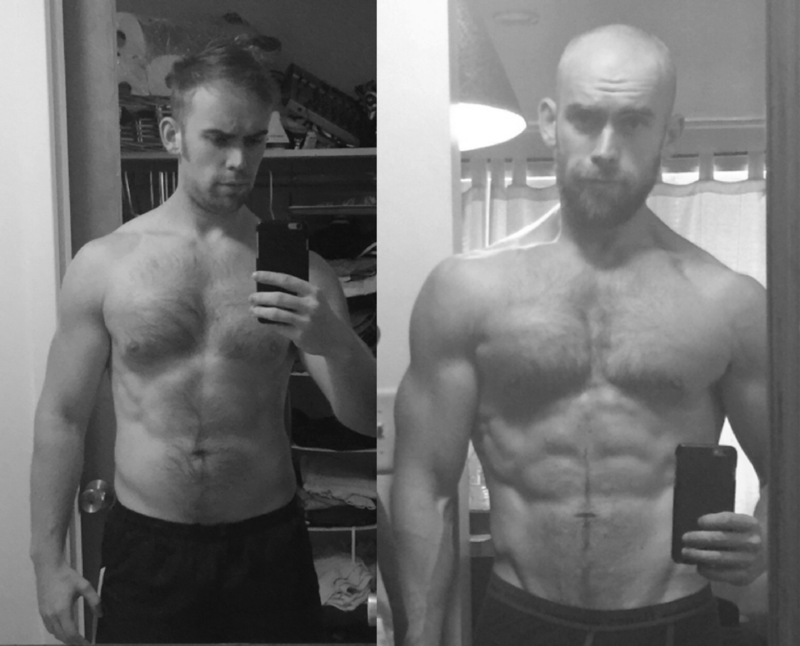 I went from grabbing handfuls of fat to seeing veins running across my abs in three months. Here are the before/after photos (left, 245 pounds; right, 180 pounds). At TheoFit, I will teach you those principles. Join our community and begin your transformation. · Longer videos on tips for motivation, diet and exercise (3-4 per month). · Watch weekly Q&A videos (30-40 minutes). · Watch Patreon-only long-form videos on diet and exercise (3-4 per month). · ALL TheoFit books, worksheets, and audiobooks are FREE to download. · Submit the questions for the Q&A videos. · Watch weekly Q&A videos. · PDFs of all eBooks Free (over 500 pages of content and worksheets). · Exclusive long-form videos on diet and exercise. · Paul will become your personal coach. · Paul will help you locate the best gym in your town. · Paul will give you a personalized diet and exercise program. · Paul will help you overcome personal obstacles. · Daily email check-ins for the first week. · Submit Questions for Q&A.